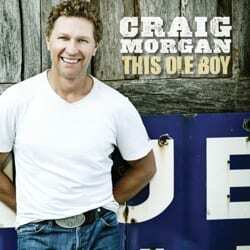 Craig Morgan is gearing up for the Feb. 28 release of his sixth studio album This Ole Boy. The singer and TV host re-teamed with longtime creative partner Phil O’Donnell to co-produce the set. The title track and lead single is climbing the radio charts. Morgan will kick-off release week with a live Facebook chat with CMT on Monday. That night he continues the celebration with a hometown concert in Dickson, Tenn. at 8 p.m. at The Renaissance Center where he will sign copies of the album and play an acoustic set. Fans can stream Morgan’s performance via StageIt. He’s also set for numerous upcoming appearances throughout the southeast, and will travel to Manhattan for a series of national TV appearances including Fox News Channel’s Hannity (3/1), and Fox & Friends (3/2). 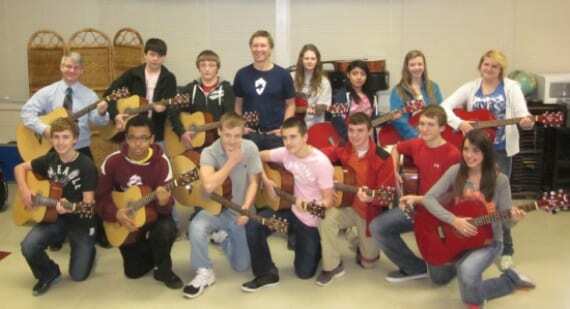 Craig Morgan visited Dickson Middle School recently to donate fifteen Dean acoustic guitars to the music program. He also talked with an eighth grade class about music and they wrote a song together.